When I (Jim Bendewald) speak to people about why creation is true and evolution is not — I try to use the five-levels-of-information-in-DNA argument. I have seen people go from complete confidence in evolution to certain doubt in evolution within the few minutes of our discussion. This argument clearly has the potential to be a game changer. Skeptics dismiss evidence against origin of life problems by saying that such evidence is not evolution, it’s origin of life. The five-levels-of-information-in-DNA argument is a slam dunk on why the origin of life by natural causes could never work. Hopefully, anyone watching this video will see that. 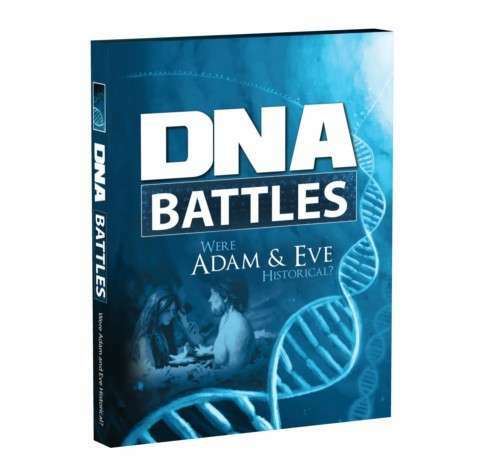 But the five-levels-of-information-in-DNA argument is just as powerful against the evolution of organisms as well. 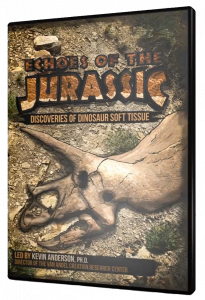 This video provides the concepts necessary to permanently dismiss evolution as a valid theory. For animals to evolve from one type of animal to another they must add volumes of information in DNA and they must do so with incredible detail. Watch the video to see if you agree evolution by natural causes is not logical in any amount of time. Like this description of the video, (these very words) natural causes is just not the way information is formed. Ken Ham is the founder and president of Answers in Genesis based in Kentucky. Jim Bendewald (the director of Evidence Press, Inc.) had the privilege to interview Mr. Ham at the Creation Museum in September, 2013. Unfortunately, an old Earth has become popular among many Christians. A very important question then is, why have so many Christians come to accept an old Earth view? Ken Ham provides answers to this question in the second half of the video. In the first half of the video we learn about Mr. Ham’s upbringing and what brought him into the creation ministry. We also learn of his vision for the Creation Museum and the proposed building of Noah’s Ark. Hermeneutics is the art and science of interpretation. There are several methods for interpreting the Bible but there are two main methods you should know about. (Scroll down to see more text after the video). This first method of interpretation is the historical-grammatical method. It begins with the belief that the Bible is completely accurate and is God’s word from beginning to end. It strives to understand what the author intended to say. It is different from a “literal” view in that it considers not just the literal words but also the grammar, the style of writing, the type of literature, the context of the times and other factors. It strives to allow the passage to speak naturally, not forcing an outside bias such as — trying to make the text fit an old Earth view. A correct interpretation comes out of the passage by examining the scriptures exegetically. The second method of interpretation is the critical-historical method. 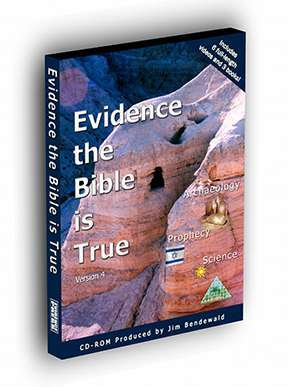 It treats the Bible as only accurate in the areas that can be verified through archaeology and extra biblical writings. Another word describing this method of interpretation is “eisegesis” which means to insert one’s own presuppositions and biases into the passage. Those who use the critical-historical method start from their presuppositions and biases believing the Bible is a collection of myths. Eisegesis is also used to make the Bible conform to an old Earth view. Instead of trusting the evidence for when the books were written, the critical-historical method assumes much later dates. Likewise instead of accepting internal evidence for authorship the critics have assigned a series of unknown authors and a variety of editors to the books of the Bible. This method of higher critical interpretation is popular among secular academics who consider the Bible to be largely myth. The starting point from which one studies the Bible makes dramatic differences in how it is interpreted and applied. However, consider this verse from Romans 1:25, For they exchanged the truth of God for a lie, and worshiped and served the creature rather than the Creator, who is blessed forever. Amen. It is a problem to worship the creature or natural causes of creation instead of the Creator. The problem with Christians believing in old-Earth creation is equivocation. Inconsistent methods of Bible interpretation are used by Christian leaders to present an old Earth view of Genesis 1-11. Many Christians are getting their ideas for how to reinterpret Genesis 1-11 from certain leaders such as Hugh Ross of Reasons to Believe. He has written several books which provide an eisegesis approach to understanding Genesis 1-11 as well as other passages in the Bible. In the process of adapting these deceptive views of scripture his followers are mixing their methods of interpretation. For most of the Bible they agree with and use the historical-grammatical method of interpretation and complete their Bible study in an exegetical manner. But for Genesis 1-11 they switch to eisegesis by twisting the scriptures to mean something they were not intended. 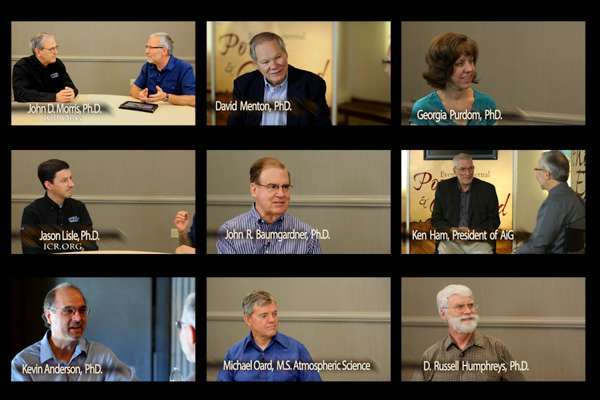 Watch the video with Ken Ham to hear his view. It is very likely that the paragraphs above are fighting words for many readers. However, making people angry is not our goal. We at Evidence Press very strongly believe that God intends for us to interpret the scriptures consistently using exegetical methods – for all of scripture – not just the passages we agree with. In addition, we strongly believe that modern science supports creation and a young Earth. 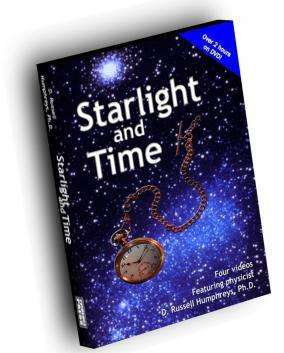 Go to the Videos menu to find strong evidence for creation and a young Earth directly from scientists with PhDs. 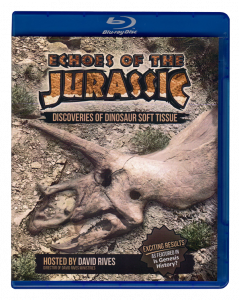 The DVD evidence that humans and chimp genomes are a mere 1-2% different has become an icon of evolution. All a supporter of evolution had to do is mention the 1% difference between humans and chimps to score major points in a debate. However, like Junk DNA, the simple cell and the universe is eternal — the 1% difference is being shown to be false. In this video Dr. Kevin Anderson provides some background to the so-called 1% difference. He demonstrates the sort of evidence that was used to determine the 1% difference.